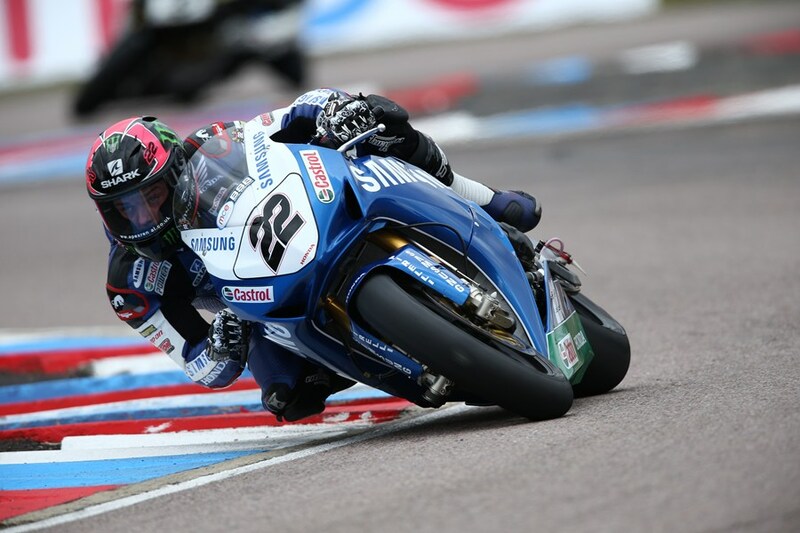 Samsung Honda rider Alex Lowes will start race one at Oulton Park from pole position after setting the lap record around the Cheshire circuit. Qualifying 1 was topped by Lowes, whilst Quattro Plant Kawasaki’s Danny Buchan crashed out of 20th in the opening five minutes of the qualifying session. Buchan fell victim to the one bike rule in British Superbikes, he couldn’t go back out on his ZX-10R and his qualifying session was over. Shane Byrne and Alex Lowes continued to set faster laps all of which were sub 1.36, proving they will be the men to beat this bank holiday Monday. Ahead of his 400th British Superbikes race Michael Rutter had a disastrous qualifying session; major chances to his Bathams Honda meant he could only get out in the closing minutes of Q1, but failed to make it into the top 18 by just one position. Brands Hatch race 2 winner James Ellison jumped up from 19th to 9th position with 10 minutes to go, just before Martin Jessop lost the front and failed to rejoin the session. Jenny Tinmouth was another faller in Q1, she fell at Cascades in the closing minutes. Qualifying two continued to bring problems for Ryuichi Kiyonari; he failed to make it into Q3 at a track he has previously won at and will start the race in 14th. Peter Hickman pulled out a flying final lap and pushed James Westmoreland out of the top ten, resulting in Hickman qualifying into Q3. Lowes continued to fly at Oulton and set the fastest lap of the weekend, a 1.35.285 which put him at the top of the timing sheets. Milwaukee Yamaha rider James Ellison decided to sit out of Q3 due to oil pressure problems, which meant only 9 riders were out on track for the top 10 positions. Alex Lowes set the fastest ever ‘evo’ lap at Oulton Park in the opening minutes of Qualifying 3, setting a time of 1.34.884 that wasn’t to be beaten in the remaining minutes. Rapid Solisitors Kawasaki teammates Shane Byrne and Keith Farmer completed the front row behind Alex Lowes and Josh Brookes, which was covered by 1.130 seconds. John Kirkham will start from the front of the second row, ahead of Chris Walker an injured Tommy Bridewell and Peter Hickman.